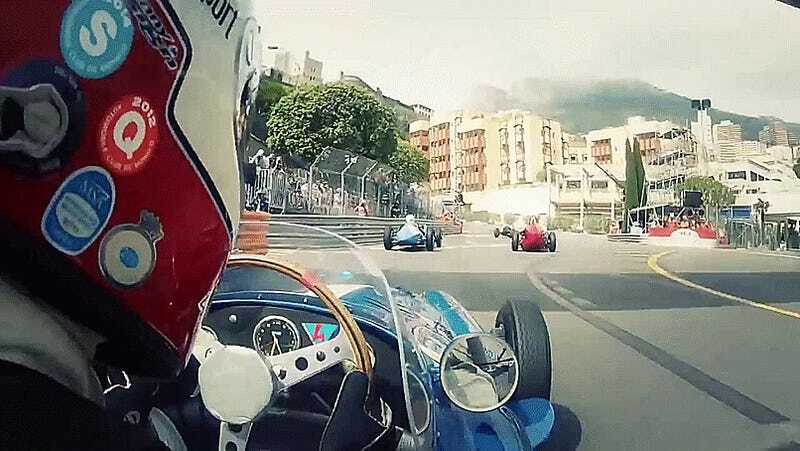 Unless you get mesmerized by the fact that they’re hustling über-expensive, state-of-the-art formula cars inches away from every barrier, the Formula One Monaco Grand Prix can be a dull parade. But not in vintage cars. They’re narrow enough to pass on Monaco’s twisty roads and holy crap, they sound awesome. Here’s about as far as you can get from the new wide, aero-heavy F1 cars of 2017: a 1958 Maserati 250F “Piccolo” driven by Frank Stippler during the 2014 Monaco Historic Grand Prix. It’s a car that’s simply at home while in opposite lock. 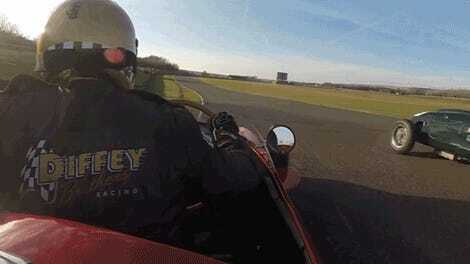 All the cars in this race are from before 1961, so they’re mostly just a little wider than the driver’s seat itself. This one features an aluminum body over a tubular frame, making it pretty lightweight. It’s moved by a 276-horsepower engine, but relies on drum brakes to slow it down. Yes, drums. You know, like out of your buddy’s old Beetle that constantly pulls to one side. Fifties technology, y’all! Stippler hustles the little blue noodle up to second place, and man, is it ever fun to watch. Another driver even comes into a corner too hot and gives Stippler’s 250F a tap at 6:15 in the video and Stippler just holds it together and re-passes that person before the finish line. I’m sure the main show is fun and all, but this might be the event I’d most like to see in person at Monaco. It’s every classic Monaco Grand Prix poster come to life, and I bet the cars sound phenomenal in person. The line of cars waiting to head out next as Stippler drives into the pits isn’t too shabby, either. H/T Eric, who gave me a giant thing of mayonnaise and I have no idea what to do with it.